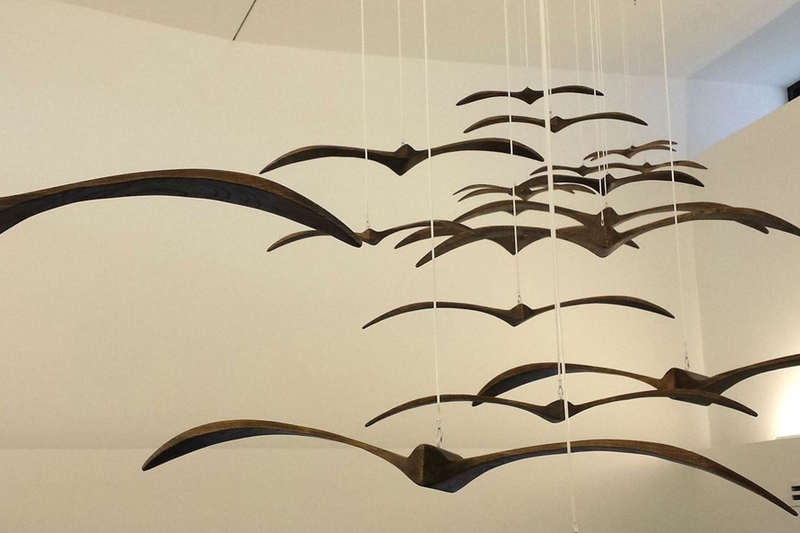 For the new Bellevue Library, artist Brenda Stein was commissioned to design two pieces. 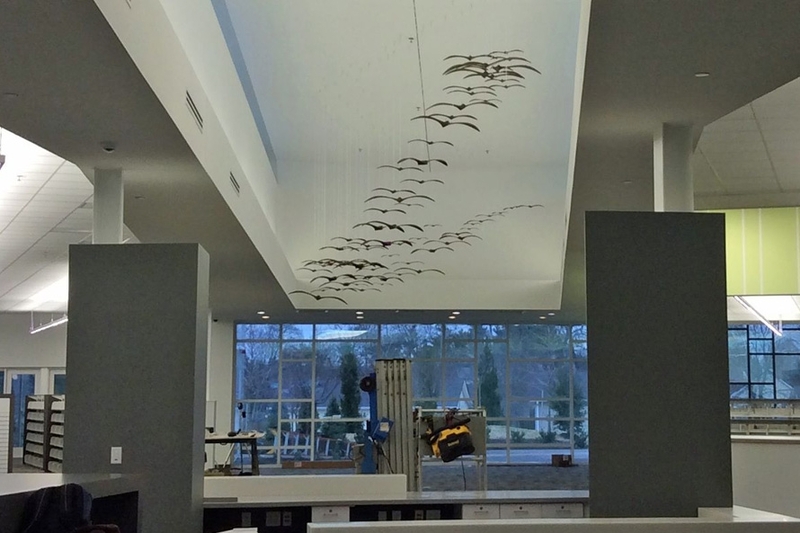 She designed a flock of birds suspended above the lobby and a bird/leaf mobile in the children's area. 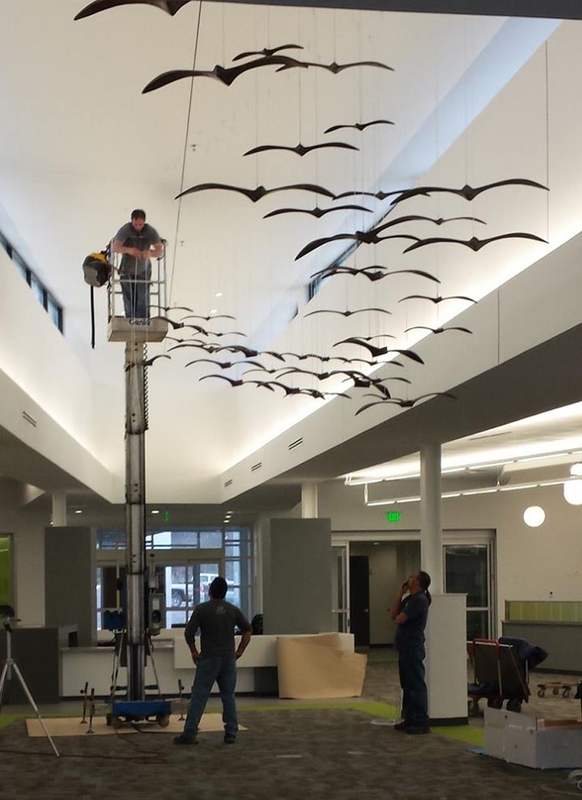 MadeFirst fabricated/installed 87 birds, which - along with the bird and leaves on the mobile - were made out of recycled Hackberry from the old library site.